Just Listed :: Adorable Craftsman in East Atlanta! Welcome home! 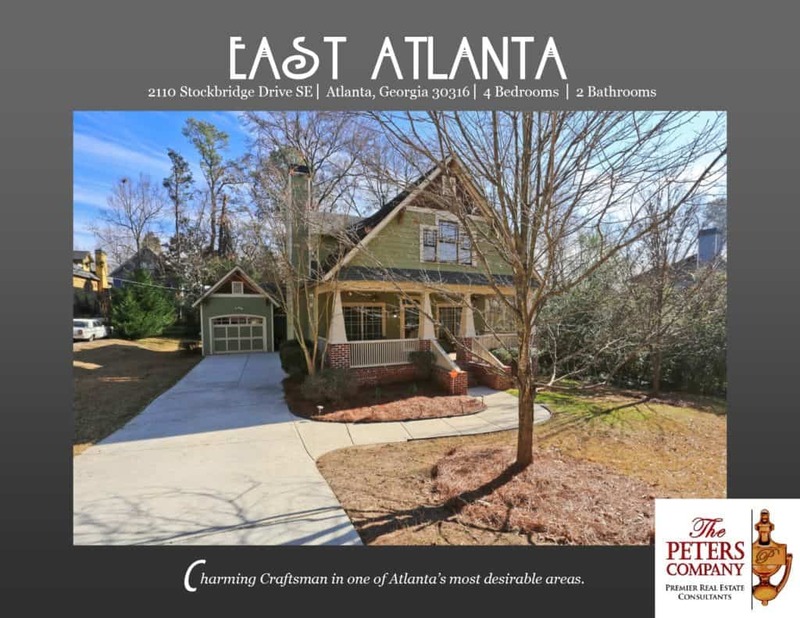 Nestled on a quiet street in popular East Atlanta, this home gives you an amazing intown experience. You’ll truly love this adorable Craftsman bungalow in the middle of it all. The floor plan, custom features, and charming character of this property will never go out of style. The close proximity to I-20, I-75, and Moreland Avenue make it convenient to and from any direction. Being in this booming area of unincorporated Dekalb County means you get to live as close as you can to the city without the escalating tax bills associated with Fulton County and the City of Atlanta. You’ll also enjoy being only minutes from East Atlanta Village and numerous parks! Kitchen features granite counters, stainless steel appliances, island with breakfast bar, and large pantry. Living room is complete with gas starter fireplace. Hardwood floors and fresh paint! Spacious master suite features a walk-in closet and master bath with double vanities and large tub. Loft space would be ideal for a home office. Wonderful outdoor spaces include a rocking chair front porch and large deck overlooking the level backyard. Garage a bonus for the area!